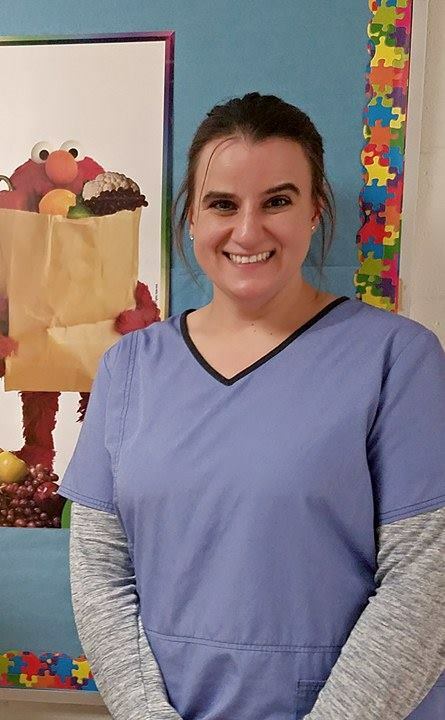 Tamworth, N.H. (PRESS RELEASE) – Tamworth Dental Clinic and School Smiles is proud to introduce the appointment of Denise Bailey, CDA RDH BS, as the new School Smiles dental coordinator. The Tamworth Dental Clinic and School Smiles are a Tri-County Community Action Program, which provides high quality essential dental care to over 2,500 people from Carroll, Coos, Grafton and Belknap Counties. The School Smiles program seeks to improve the oral health of children, as well as their dental experience by providing convenient and reliable school-based dental services to students within a safe and pleasant environment. Denise’s interests in dentistry started at the age of sixteen as a dental assistant student at a vocational high school. After high school, she continued her education and became a dental hygienist in 1997 after graduating ed from Middlesex Community College, Dental Hygiene Program, in 1997. She has practiced in many different areas of dental hygiene in several states, and many different areas of dentistry, including public health and hospital-based positions. Denise also holds a Bachelor of Science in Applied Studies in Healthcare Administration from Granite State College. In 2012, she completed her credentials as a licensed educator through the Massachusetts Department of Education (DESE). Denise has worked as an educator, CPR instructor and dental assisting program developer. She is currently completing a Masters in Education degree at Westfield University. “ We are happy to have Denise join our Tamworth Dental Clinic team. Her education, passion, and enthusiasm for working with children is a great benefit to our clinic and the schools,” says Kristy Letendre, Tri-County Cap Director of Clinical Services. “ For some, the Dental Clinic and School Smiles is the only option for dental care with Medicaid and Medicare.” The oral health preventative and remedial services have a positive impact on the quality of life, and even impacting the employability of our patients. We welcome all new child and adult patients. Whether self-paying, fully insured, or covered by NH or Maine Medicaid,” said Kristy Letendre. “The Tamworth Dental Clinic accepts most major adult and family dental insurance plans, Care Credit time payment plans, and offers reduced rates to low-income individuals without insurance. We work with programs for Veterans, Ryan White referrals, New Hampshire Employment program, Seniors, and two local Department of Corrections inmate programs. Tri-County Community Action Program, Inc is dedicated to improving the lives and well-being of New Hampshire’s people and communities. We provide opportunities and support for people to learn and grow in self-sufficiency and to get involved in helping their neighbors and improving the conditions in their communities.